Gene associated with intracranial aneurysm in French-Canadian population identified. Intracranial aneurysms are a potentially life threatening neurological condition responsible for approximately 500,000 deaths worldwide per year, half of which occur in people less than 50 years of age. They are the result of focal weakness in the artery wall and have a complex genetic makeup, however, genome-wide association and sequencing studies have had limited success in identifying intracranial aneurysms risk factors. This is a crucial factor in distinct populations, such as the French-Canadian population, where there is an increased prevalence for intracranial aneurysms. Now, a study from researchers led by McGill University identifies a gene in the French-Canadian population that predisposes them to the development of intracranial aneurysms. The team state that they performed genetic analysis on French-Canadian families to identify rare variations in one gene, RNF213, that appear more frequently in intracranial aneurysm patients than in the control group. The study is published in the American Journal of Human Genetics. Previous studies show that intracranial aneurysm is inheritable, and a 1996 study found that 29.8% of French-Canadian intracranial aneurysm patients had a family member who also had intracranial aneurysms, a higher percentage than the general population. This suggested that the genetic link to intracranial aneurysm in French-Canadians is stronger than average. The gene or genes responsible for this increased inheritability, however, remained a mystery. The current study uses exome sequencing to prioritize risk variants in a cohort of six French-Canadian families affected by intracranial aneurysm. The current study uses exome sequencing to identify RNF213 as suspicious in a patient group of 26 people from six families who experienced intracranial aneurysm. The group then re-sequenced RNF213 in a larger control group of 189 people, and found 14 variants of the gene, unique to the French-Canadian patient group. Results show that 10% of the patient group had at least one of the rare and potentially damaging RNF213 variations, a higher percentage than the control group by a statistically significant margin. The researchers explain this suggests that while RNF213 is not the only factor playing a role in intracranial aneurysms, it does increase the risk. The lab state that RNF213 has also been found to be associated with moya moya disease, a condition where blood vessels in the brain are constricted, leading to the formation of abnormal vessels to compensate for the blockage. They go on to add that moya moya is almost exclusively found in the East Asian population. The team surmise that their study and the prior association of RNF213 to moya moya supports the theory the gene plays a role in blood vessel development, with links to different cerebrovascular diseases in different populations. For the future, the researchers state that by identifying RNF213 as a gene associated with intracranial aneurysm, they help provide a better understanding of its genetic origins. They conclude that the global medical community can now focus on discovering the mechanism through which RNF213 affects the development of blood vessels. 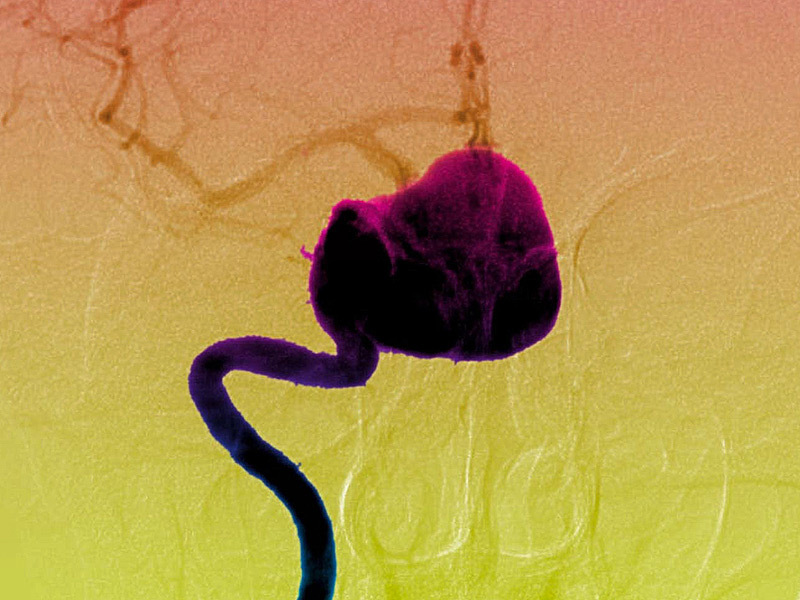 New Treatment Score for Unruptured Aneurysms. Medscape. Aug 28, 2015. Copyright © 1994-2016 by WebMD LLC.